Now I know why my new-found Japanese friend understood our Korean friend very well. 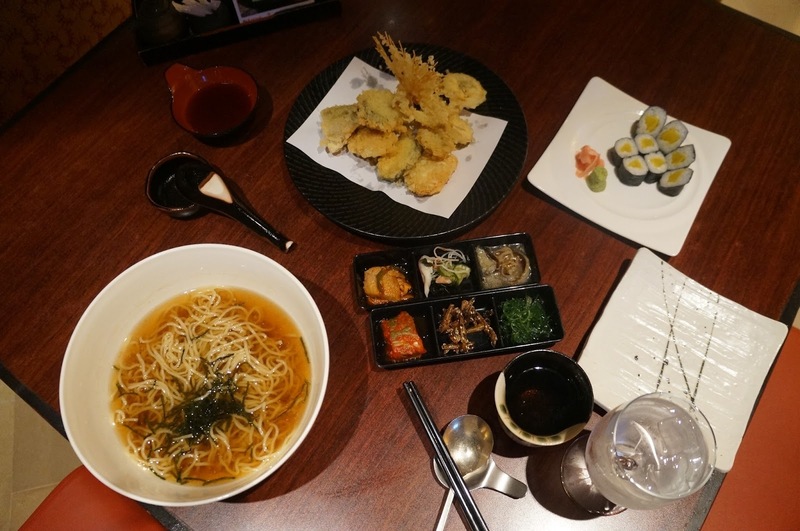 There's even a restaurant dedicated to both nationalities - Japanese and Korean. This means there's got to be something common with the two. 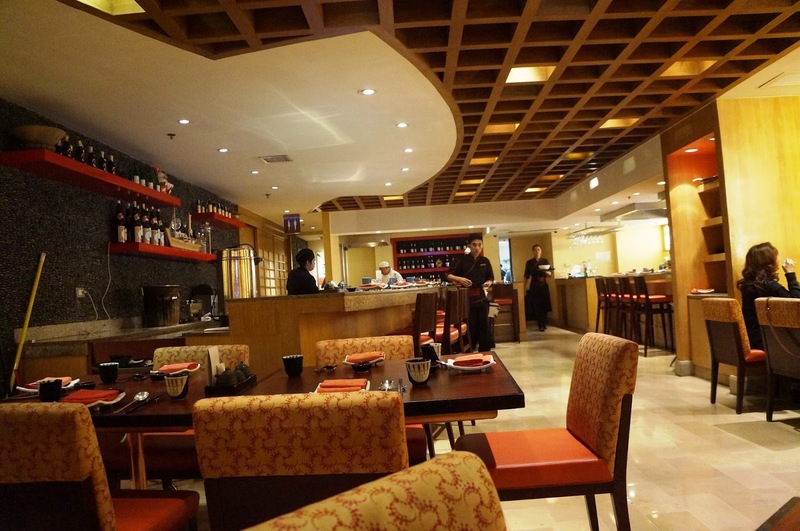 So without reading anything yet, I decided to try out this restaurant located within Resorts World Manila. 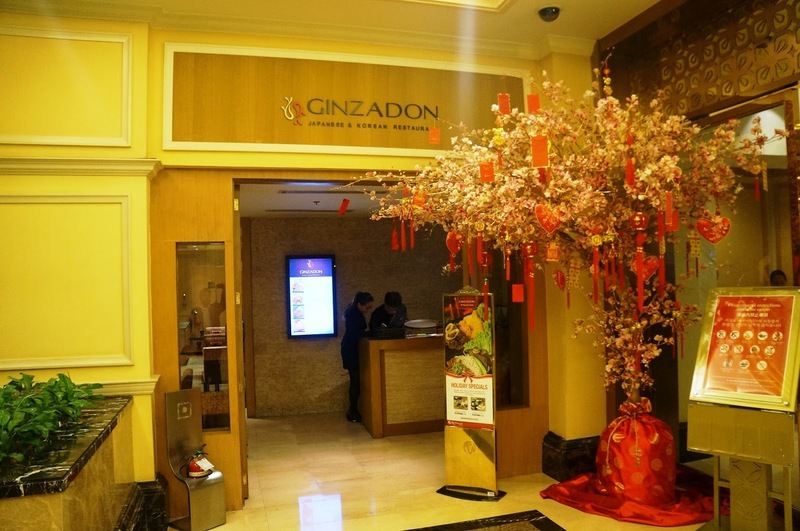 The restaurant is called Ginzadon Japanese and Korean Restaurant specifically located at the Maxim's Tower Hotel. These are said to be two different cultures but must be complementing each other to give enough reason to serve them in one venue. I initially thought it was a little odd at first to be naming a restaurant like that but they must have valid reason for such an arrangement. In my case, I don't really look into the origins of the cuisine. Whatever passes to my taste buds is good enough for me even if it's a fusion with a twist of many cuisines. 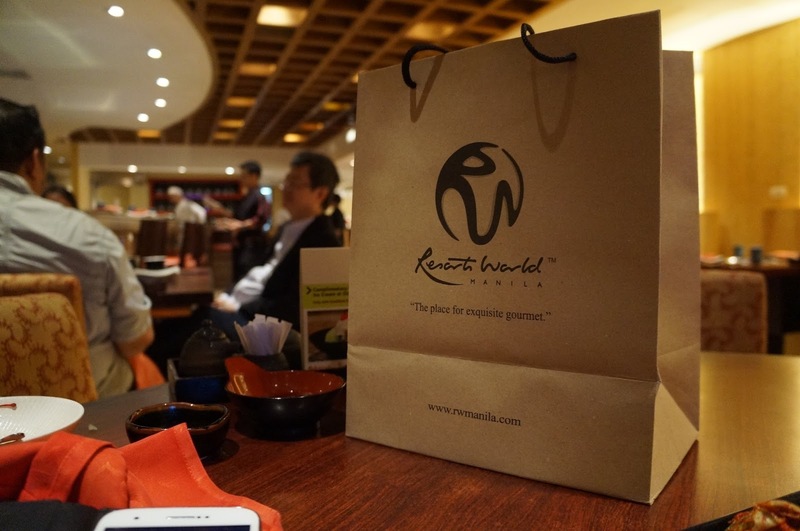 But because I wanted to limit my meal budget to only Php 1,000 but still get more food from the amount, I think I ended up only ordering from the Japanese menu. 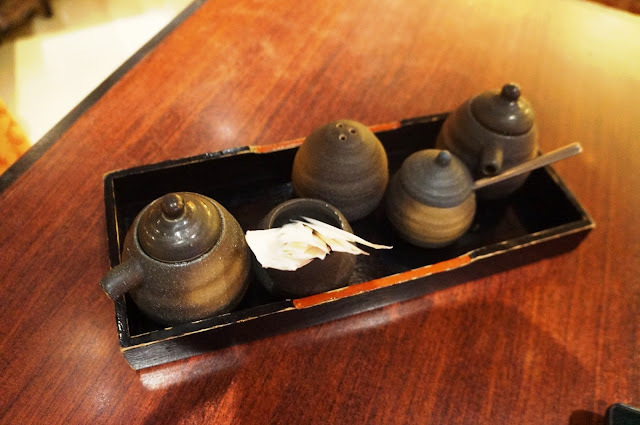 I forgot to take photos of the menu which I normally do whenever I dine for the first time at a newly discovered restaurant but in this case I was overwhelmed with the small but luxurious place so I neglected that routine. This is why I'm just referring to the bill where it states the name and price of the dish, and hopefully its the same name as written on the menu. If not, it may be the shortcut or coded version of its lengthy name. 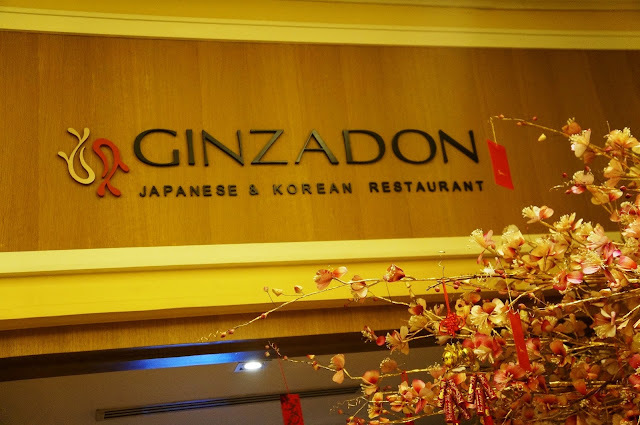 If ever Hiroshi Takano from Osaka, Japan and Go Bong Woo of South Korea returns to Manila, I will be sure to take them here. It will be a more pleasurable place to spend time while Mr. Takano translates what Mr. Woo is saying. The upscale ambiance of the place is quite cozy and what you'd expect from an Asian restaurant that is under the wings of a 6-star hotel. The hues of brown, black, red and orange and brown make up most of the furniture and decorative ornaments. They provided a serving of complimentary appetizers and house tea while I waited for my order which I limited to more than just Php 1,000. For me, spending more than 1K for my meal is expensive already. The amount is already my way to pamper myself. Under normal occasions, you won't see me spending more than half of that amount. I wasn't able to finish all of them when my orders arrived. 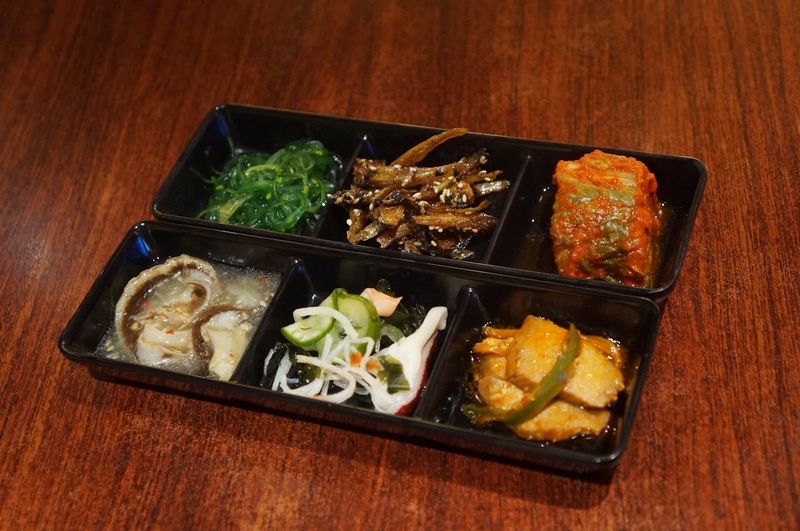 But the waiters did not take it away yet, which gave me time to almost finish them except for the kimchi which I still haven't acquired the courage to enjoy eating. Condiments were in attractive containers. It would make a good collection for my own home. 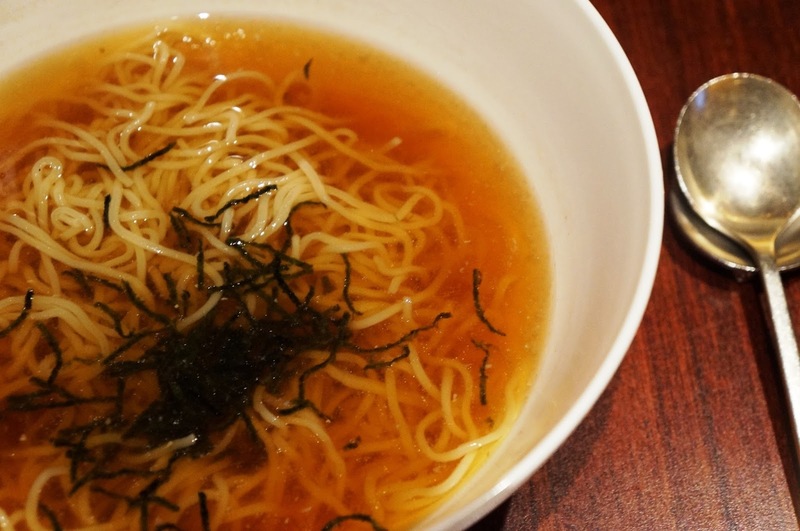 The Shouyu Ramen (Php 339.29) was kind of bland. Honestly, I didn't find it worth the amount I paid for. It was actually the least expensive ramen in the menu but when they served it in a huge bowl that's half-full, it kind of was not that appetizing to look at. The presentation of the dish was least colorful just as how it tasted. It would have been worth every centavo if it was flavorful but I guess there's just too much water and very little spices. 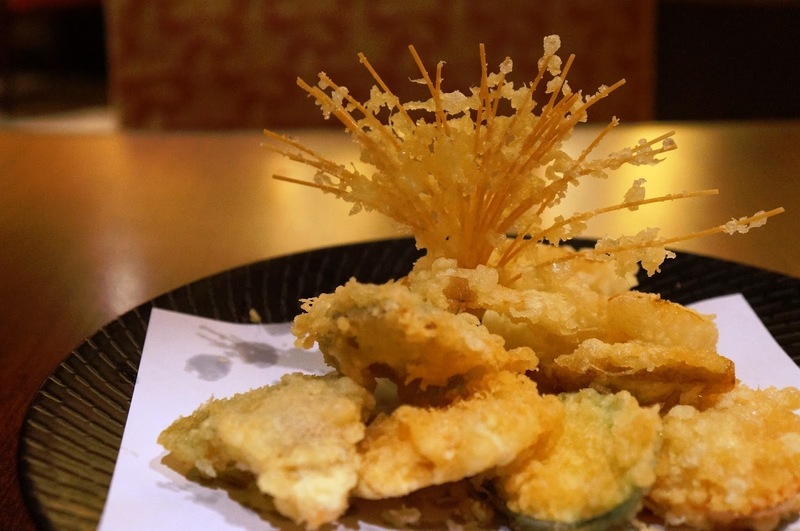 The Yasai Tempura (Php 214.29) made up for the first dish. This was very filling and flavorful even without dipping in its sauce. I was not able to finish it all since I needed to make room for the other dishes. 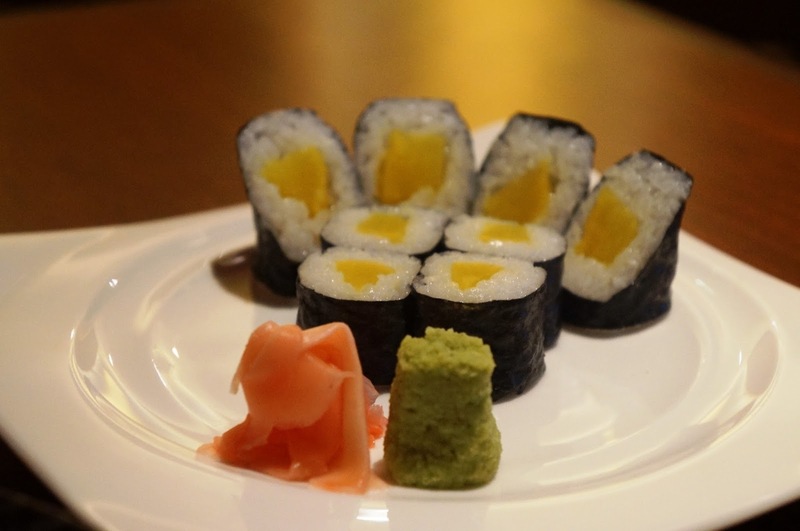 The Oshinko Maki (Php 169.64) scores high in my rating card. I always loved these kind of dishes and find even the simplest preparation satisfying. The price was really good. It's actually enough to fill you up already. 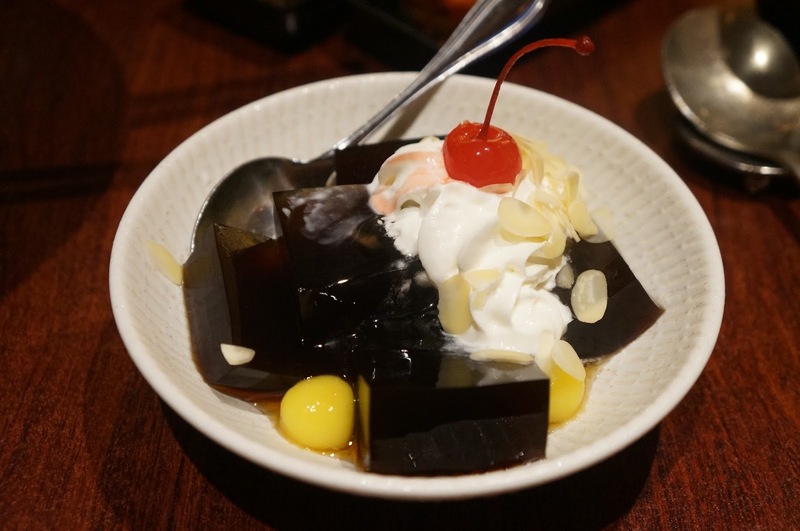 For dessert, I tried the Kohe Kanten (Php 111.61) which is coffee jelly (or gelatin) with fruits and cream. It was a fair enough price for the serving which I enjoyed. 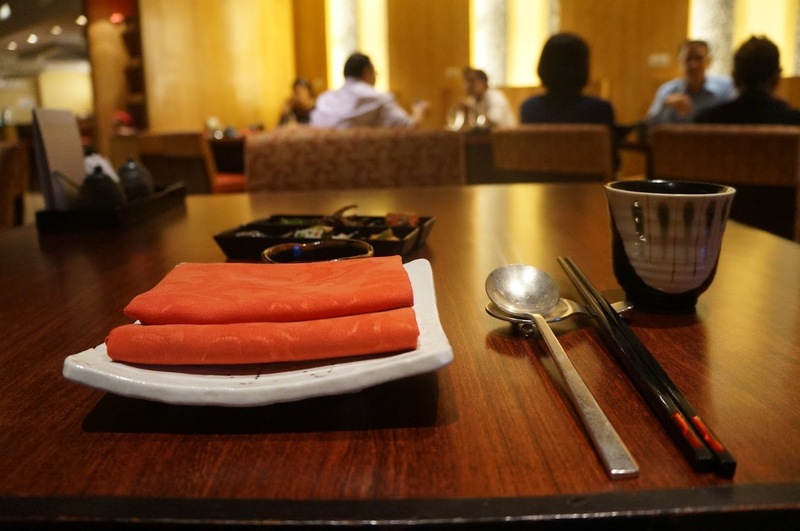 Overall, I was entirely satisfied with what I've ordered considering the amount I paid for against the ambiance and quality of food that I got. I even had to take home some of the tempura and maki left-overs all neatly packed in a Resorts World Manila paper bag with the tag line: "The place for exquisite gourmet." 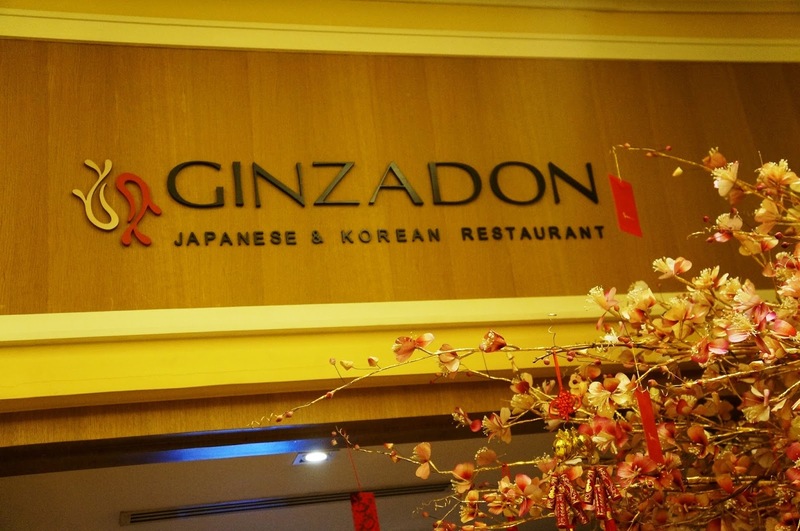 Thank you for the delightful dining experience at Ginzadon Japanese and Korean Restaurant. This review deserves a follow-up visit so I can try out their other dishes.